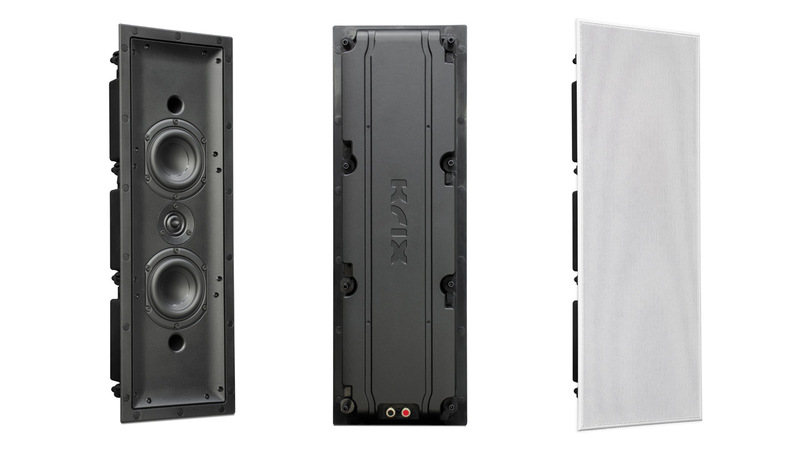 With the increasing market trend for concealed speakers, Krix has focused its design and engineering efforts on growing their well respected range of in-ceiling and in-wall speakers that feature both fully enclosed and semi-enclosed cabinet designs. The Symmetrix is the latest addition to this range. A rectangular shaped in-wall speaker (dimensions 211mm wide x 596mm high) featuring dual 100mm bass drivers and a 26mm ring radiator tweeter, the Symmetrix present depth and clarity unsurpassed in a speaker of this size and type. Unlike most in-wall speakers that are of an open-back design and therefore rely on the wall cavity for their performance, the Symmetrix has a fully enclosed rear cabinet, which guarantees the best possible bass performance no matter what the wall cavity shape or size may be. The result is a very well balanced tonal structure with bass, midrange and high-frequency clarity that will greatly surpass any so called ‘invisible’ in-wall speaker. Most importantly, these high performance speakers will retrofit into a standard 70mm stud wall, so you no longer have to rely on building out the wall to get great performance from your concealed in-wall speakers. The grilles have a stylish slim bezel design that are held in place by strong magnets. Made from rust resistant stainless steel, the white grilles can easily be painted to match your desired wall colour. The Symmetrix are ideal for home cinema or media room applications as main fronts or side and rear surrounds, but will perform equally well for two channel stereo music listening. They are available individually, so they can be purchased in any number to suit any system configuration.